If you have a lot of scrap yarns, floss and threads sitting around in a huge pile you know you have always wanted a solution to your problem. Do your children make friendship bracelets from floss, do you have scrap booking threads, twines and other strings. This is so simple and so cheap and it will make you organized in no time……. that is if you can get the knots out right? 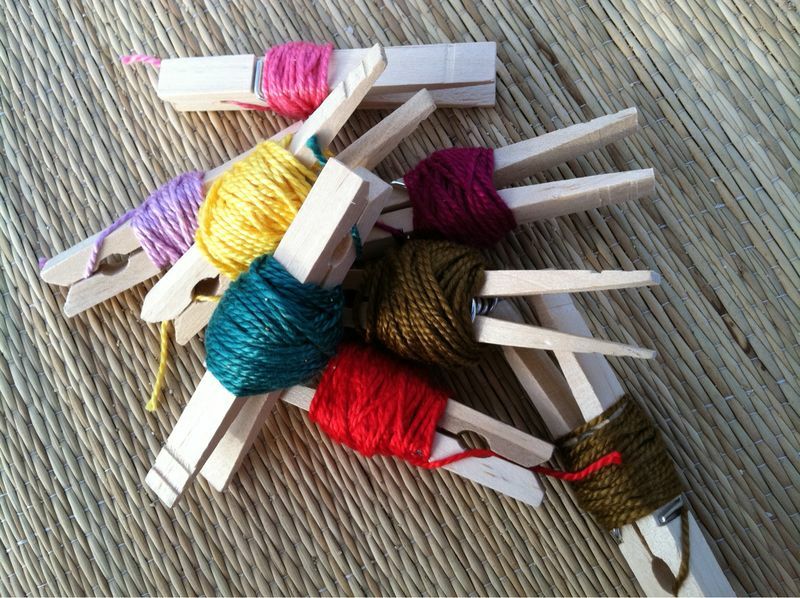 Just buy a bag of wooden clothes pins and clip one end of your string and wrap around the top part and clip the end keeping both clipped pieces together. A large bag of these clothes pins can usually be found in a dollar store and don’t forget to keep an eye out for them at yard sales. They look great as well as it will be the end to such a chaotic problem. This entry was posted in Crafts ~ DIY ~ Projects, ~Sewing. Bookmark the permalink.